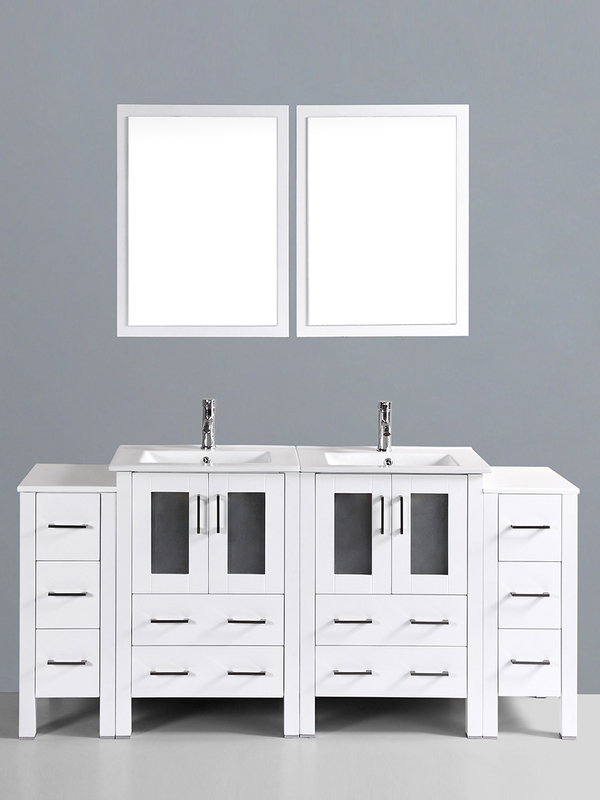 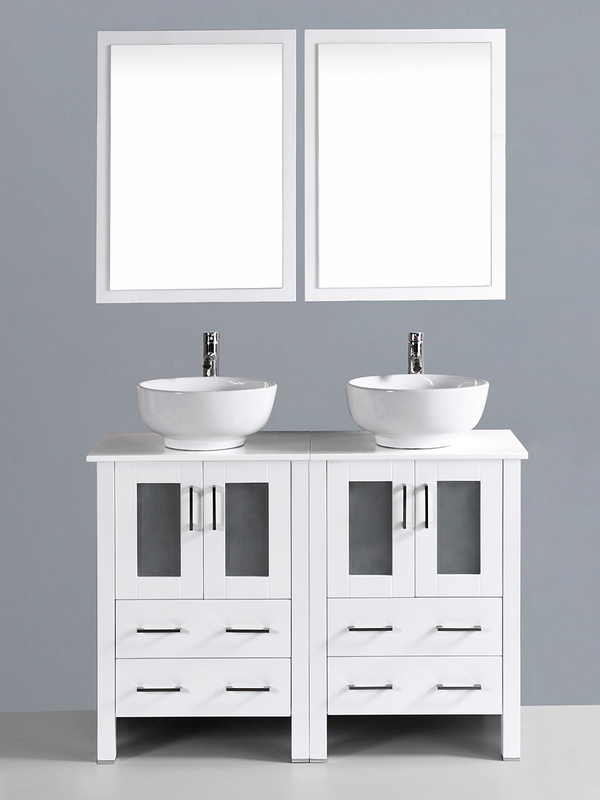 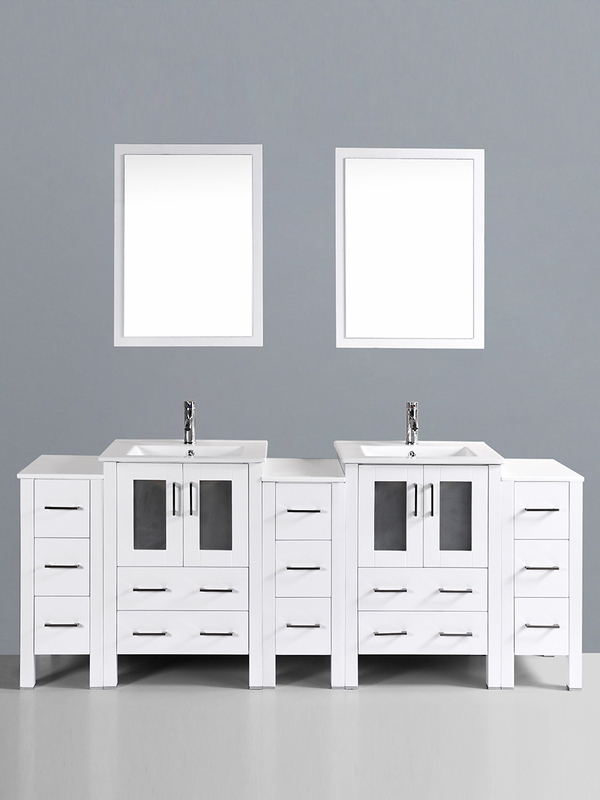 Explore a light modern look with the 48" Fields Double Sink Vanity. 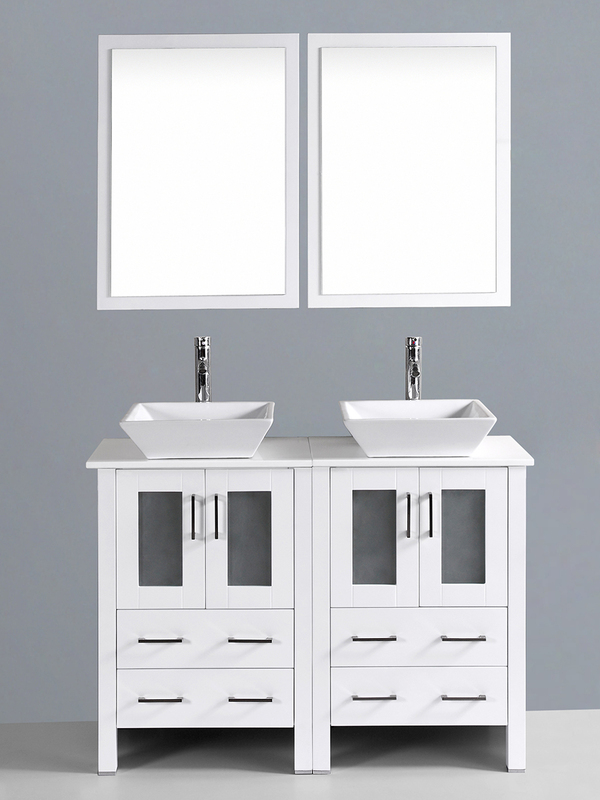 The integrated ceramic sinks and perfectly paired mirrors lend to a smart, elegant and efficient design. 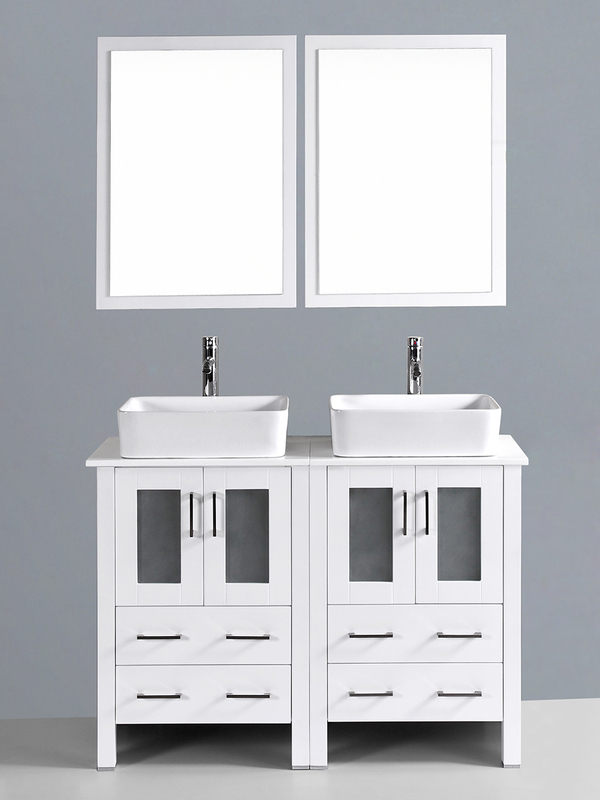 The two spacious cabinets feature soft closing doors, as well as two large pull out drawers with plenty of space to store your towels, toiletries and bathroom accessories. 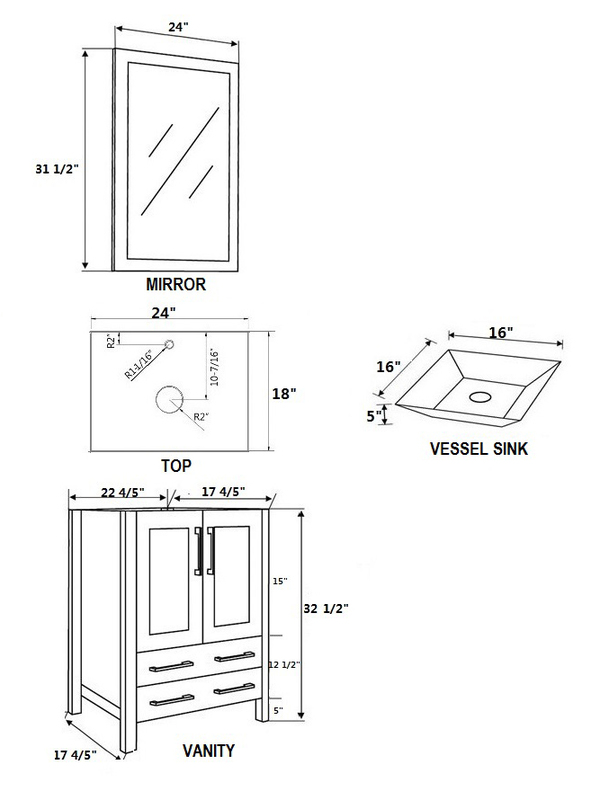 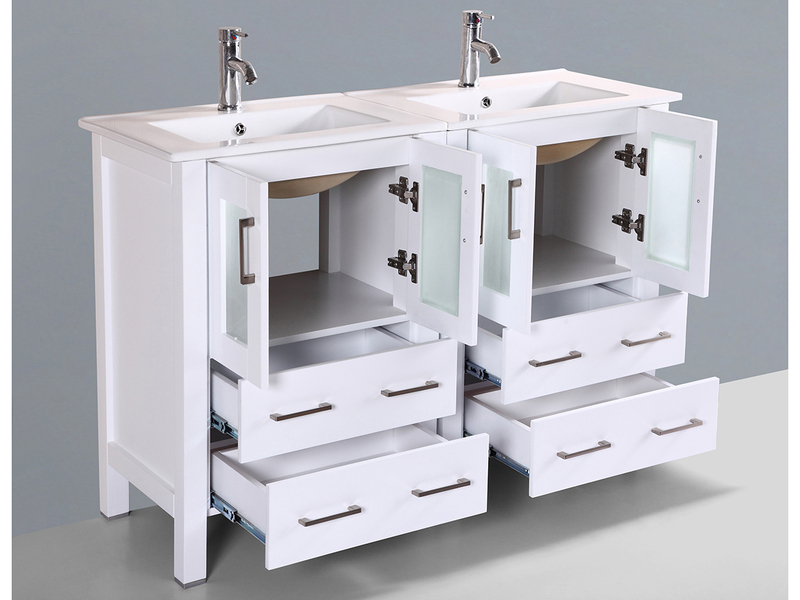 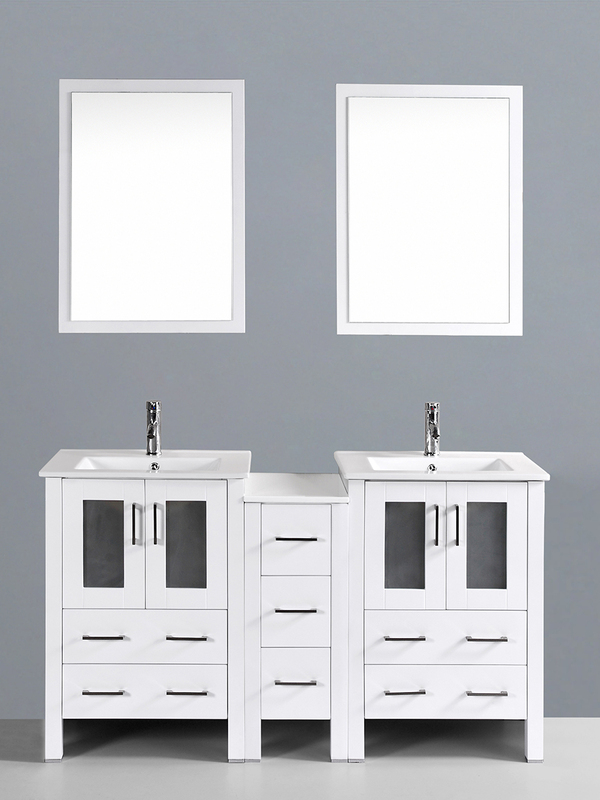 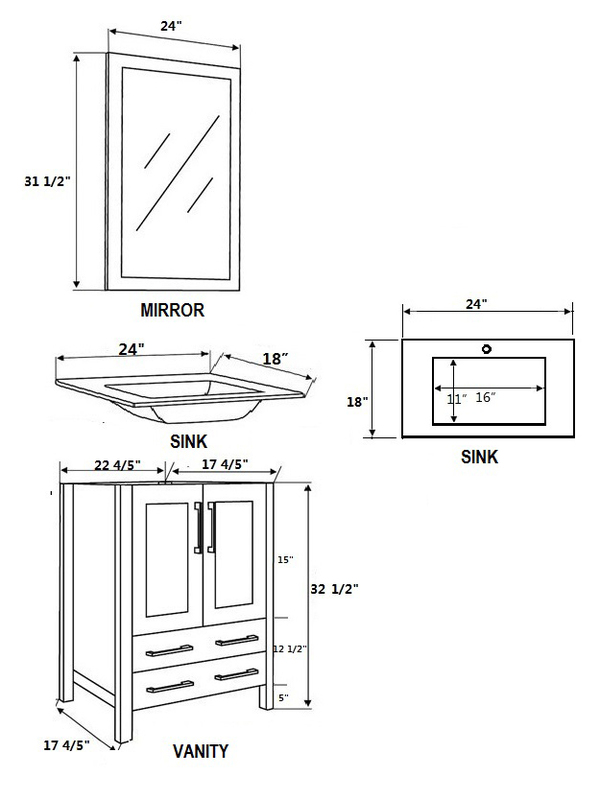 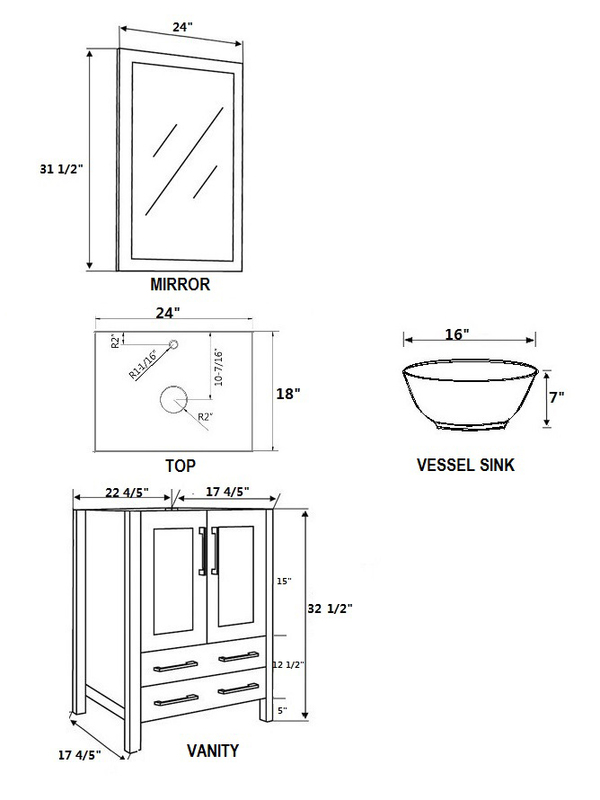 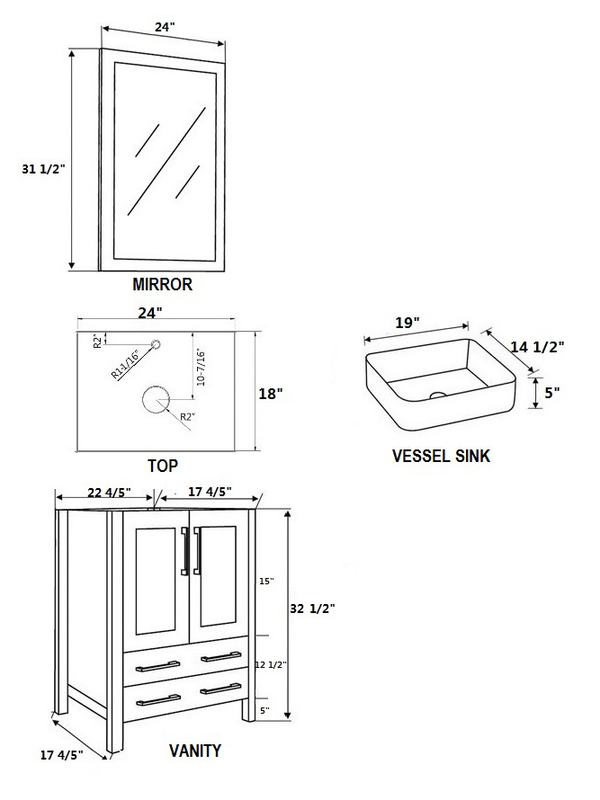 The Fields Double Sink Vanity has four sink options to choose from: Undermount, square, round and angled. 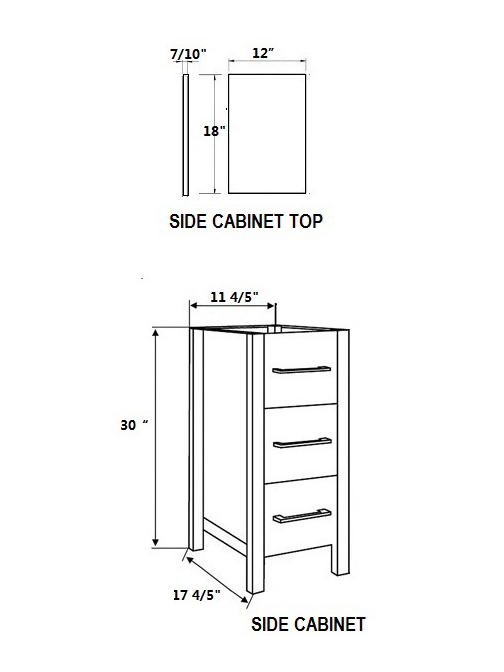 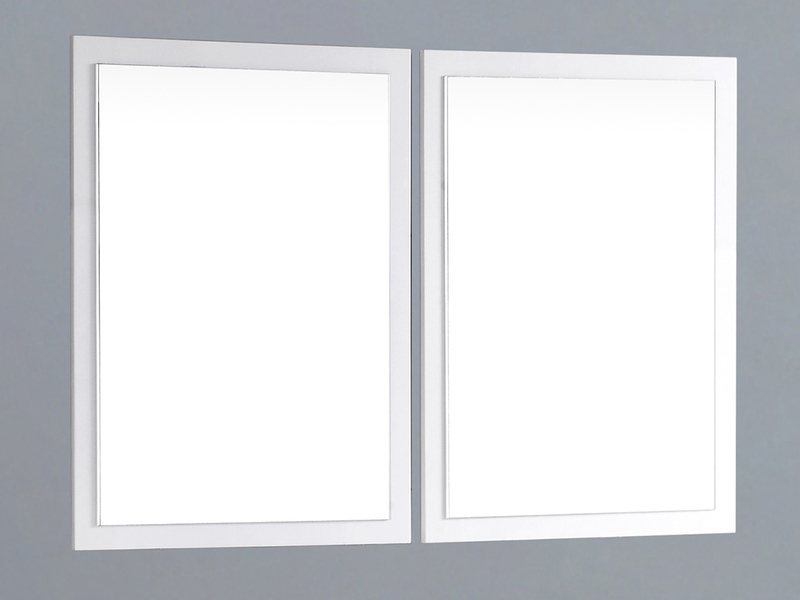 Additionally, you can purchase one or two or three side cabinets to accompany the main piece. 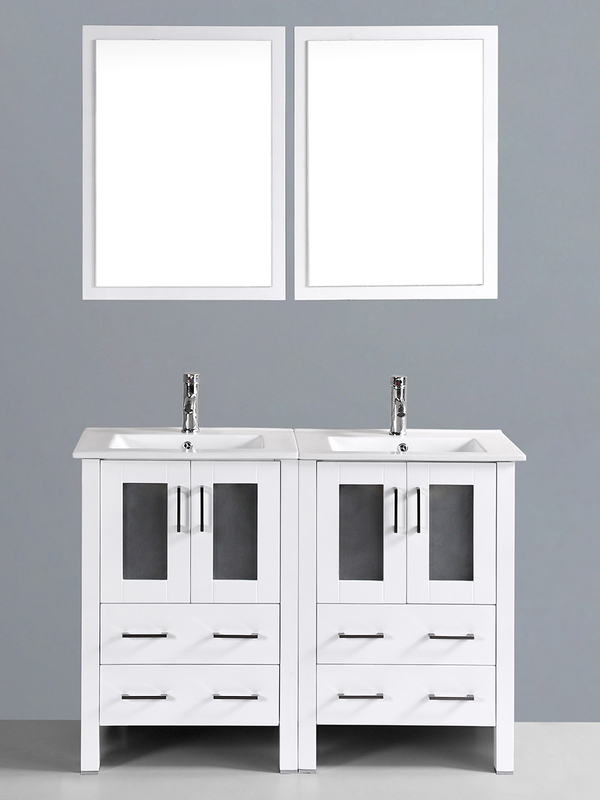 These side cabinets can be positioned however you choose to meet your needs - aside, between, or even elsewhere in the room.